When I was arranging our honeymoon to South Africa, there was definitely a need for a beach element; something remote with great diving. Luxury was also top of the list, but more understated barefoot chic than in your face bling where only the finest Jimmy Choo shoe will do. After a lot of searching and pondering, I plumped for Vamizi Island, which fitted the bill perfectly. It’s certainly remote. Even from Johannesburg (after a wonderful safari) we needed to board 3 planes to get there; the last being a tiny 4 seater. But, the journey was worth it. There are just 15 luxury and very private palm-thatched villas strung out along the most beautiful stretch of white sand, peppered with rocky outcrops. Each one is simply but luxuriously furnished with huge beds draped in muslin mosquito nets that billow in the sea breeze. Marble bathrooms have sunken baths whilst expansive verandas are filled with Swahili day beds and hurricane lamps. From here you step down to your own private piece of beach. Days are spent eating delicious food, snoozing in the sun, diving pristine reefs and fishing. As night falls you can take an evening dhow cruise whilst watching flying fish skim across the water against a backdrop of the most amazing sunsets. Or maybe just sip cocktails in the open sided bar whilst catching up with the other guests. If I could find one fault? Not one of the island’s but mine. Had we waited a few years later to visit the island I could have been sharing it with James Bond; though who needed Daniel Craig stepping out of the ocean on my honeymoon when I had the Hubby…..?! 200 metres off the south west coast of Sri Lanka sits a tiny rocky island accessible only by wading through the knee-high waters or on the back of an elephant. This is Taprobane; totally unique and until recently only available to dignitaries, the aristocracy and famous writers. Now you can live out your dream of staying on your own private island with no disruptions or disturbances, completely sealed from the outside world; although you do have a staff of 6 to tend to your every need. In the middle of the island is a beautiful colonial house set amongst spectacular tropical foliage, with wrap around verandas, an infinity pool and stunning views out to sea or over to Weligama Bay. There are 5 bedrooms so the house is perfect for a family or small group. Water sports are on offer from nearby beaches whilst white water rafting, trekking and mountain biking can also be arranged, plus there’s plenty of cultural activities too. Taprobane offers the ultimate in luxury and privacy and is the perfect place to unwind and relax. Diving buffs flock to Sipadan and its neighbouring reefs of Mabul and Kapalai. Sipadan is Malaysia’s only oceanic island, a tiny dot in the South China Sea off the east coast of Sabah. It’s famous for Baracuda Point, a wall of coral where sharks cruise by and barracuda surround you. It’s also home to dozens of breeding hawksbill and green turtles. The myriad of macrolife around Mabul is amazing: shrimp, gobies, frog fish, stargazers, seahorses, clown fish, crocodile fish and snake eels. It’s also a great place to spot rare mandarin fish. 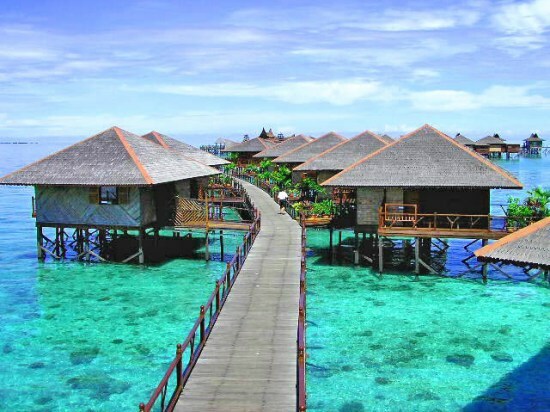 At Sipadan Water Village Resort there are 45 simple bungalows which all sit stilted over the ocean and are cooled by seas breezes. Life here really is about the diving and this is how most people spend their days, with an on site dive centre ready to take you on an underwater adventure. Brac is one of the least know islands in the Dalmatian archipelago. Over shadowed by neighbouring Hvar, it is just starting to emerge on the radar thanks to the re-opening of the UNESCO-listed hermit monasteries of the Glagolitic monks in the Blaca bay. The monasteries, dating back to 1614, have been painstakingly resorted and are set to become a big draw on Brac. But that’s not all the island has to offer. There are tranquil coves, stunning sea views, traditional villages clinging to steep valley sides and bustling fishing harbours. All this and currently very few tourists makes it a winner in my book. Stylish accommodation is thin on the ground for now but the recently opened Villa Vela Luka in the Velaris resort is making a good effort with a lovely seafront position, modern rooms, a spa and it’s handy for the ferry at Supetar for connections to mainland Split. Leaving Abu Dhabi it’s about 150 miles (a 2 hour drive) until you reach the Arabian Gulf island of Sir Bani Yas which, until recently, was the private domain of the revered founder of the UAE, Sheikh Zayed. The big draw here is the guaranteed sunshine and the array of activities to suit everyone in the family. There’s a unique Arabian Wildlife Park, with African-style game viewing of once-indigenous animals such as Arabian oryx (now extinct in the wild) and striped hyenas. Or, you can cycle round the flamingo-filled lagoon, kayak through mangroves, trek through the natural and rugged landscape and snorkel over coral reefs. The only way mere mortals can gain access to the island is to book a room at the island’s only hotel, the Desert Islands Resort and Spa. Here there are 64 rooms and suites, an infinity-edged pool, a teen’s and a kid’s club, an indulgent spa and numerous restaurants to suit everyone’s taste buds. Everyone knows about the beaches of Goa and Kerala, but if you want to escape the crowds and are willing to travel a little further then you must visit the Andaman Islands. If you do, you’ll be rewarded with stunning beaches, pristine coral reefs, dense forests, active volcanoes, swimming elephants and big, big fish all in one place. Located in the Indian Ocean, the islands are officially part of India but are geographically closer to Thailand. They’re certainly not the easiest place to get to which is probably why they are less well known than their Indian Ocean neighbours, Mauritius, the Maldives and the Seychelles, but that’s a blessing. To get there, you need to fly from Delhi, Chennai or Kolkata to Port Blair, the islands main town, where an overnight stay is often needed before venturing to one of the resorts. The accommodation has certainly changed since I ventured to the islands. The best place to stay is Barefoot at Havelock (situated on Havelock Island), which is located exclusively on probably the best beach in Asia, Beach No. 7. The resort consists of 18 beautiful but simply designed environmentally sensitive cottages spread out in the tropical foliage. Activities include yoga, escorted nature walks, snorkelling and scuba diving. Situated 15 miles off the west coast of Ireland in Galway Bay, Inis Meáin is one of the Aran Islands. Life here really is about simple pleasures: viewing the landscape of terraced limestone, unique in Europe; walking along the coastline to the sound of the thundering swell with not a soul in sight; sitting with locals in the only pub on the island. 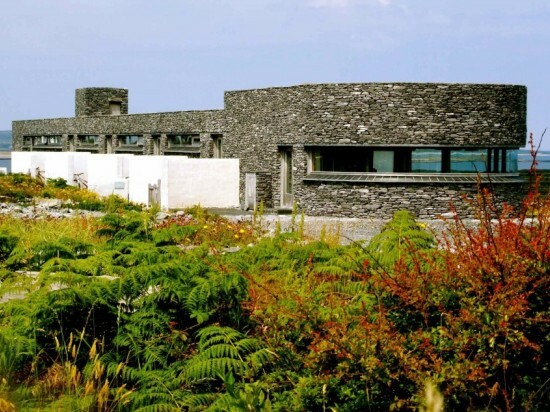 Luckily Ruairí de Blacam and his wife Marie-Thérèse have created an exclusive restaurant with suites on the island so that you can stay and experience this special place. There are just 5 guest suites; simply but beautifully furnished and each comes with bikes and fishing rods which gives a nod to the relaxed vibe. Views from both the suites and the restaurant are breathtaking and the deceptively simple food is delicious. The suites are only available from March to September so you do need to book well in advance. These are just a few of the many wonderful island retreats around the world. If you’d like to know about more wonderful islands or would like me to put together a bespoke itinerary with any of the islands featured above then please do get in touch.